Filth did it, I believe. and in similar sentiments, as does Frank. 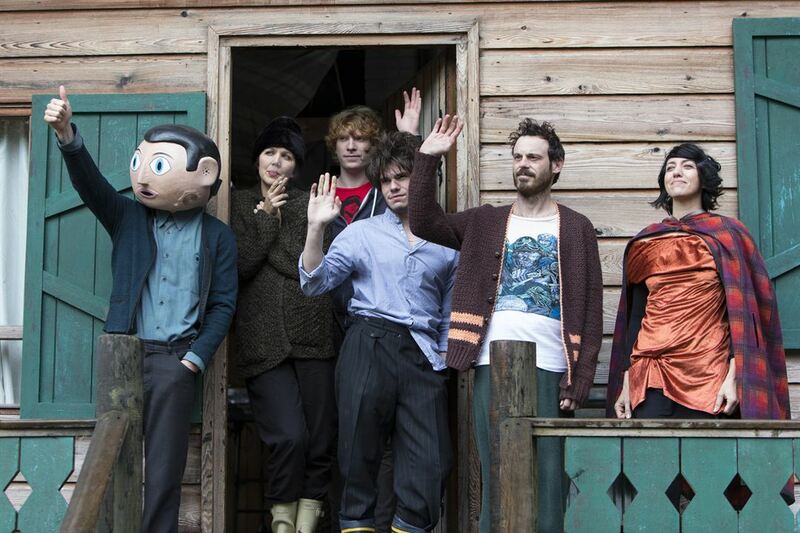 With The Little Stranger being the second collaboration between Lenny Abrahamson and Domhnall Gleeson, we’re going to be looking at their first, the glorious Frank. Abrahamson’s work here is profoundly bizarre and it is greatly so. Taking us behind the scenes of alternative, in the most obvious use of the term, music, and the personalities that clash, he intensely weaves a delightful web of visceral components with imagery so poignant in its hilarity. With an atmosphere that feels much more like Abrahamson’s Adam & Paul, the ideas presented about the balance of artistic integrity as well as escapism into any artistic endeavour such as the album. While able to showcase damage, illness and conflicts within the band, the director, alongside screenplay by Jon Ronson and Peter Straughan, also adds the comedy. The effect is curiously alluring and will spark debate over the final product for years to come. No one could give Frank life much more than Michael Fassbender. Already capable of allowing his characters to transcend powerfully and memorably in such an evocative and realistic manner, when you give him a shell to hide under, he simply flourishes. The little nuances to the titular character are masterful handled by Fassbender’s personality and talent. Able to convey a spectrum of emotions even with a mask, he utilises the little movements of the hand as his declaration. With a flick of palms and erratic movements, including the tonal shifts in speech, Fassbender delectably expresses when to be joyful and when to lay still, he knows how to hold the damaged man and unravel him to an unnerving end. It’s a brilliant performance only helped by the contrast in Domnhall Gleeson’s confused Jon, who beings aides the audience as the focal narrator. That being said, as the film drawls on, Jon is one of the worst characters in this piece, willing to push the boundaries of Frank’s mental illness in order to ride his coattails to fame. Frank may be weird and people may bend to his whims but he isn’t manipulative nor is he a bad guy. Jon is greedy and that juxtaposition shows, with Gleeson really implementing these sides to him. Reports that Gyllenhaal didn’t understand the story until it stuck in her head weaks after initial viewing is possibly the best way to explain Frank. On first watch, you’ll be struggling to comprehend it and it may seem almost dull in its peculiar nature. Yet, much like its aforementioned Scottish counterpart, you’ll be mulling and ruminating the finale and the emotive streak through it for a while after it, leaving you compelled to watch it again. Frank reaches out to a rather strange audience and hits those who like their humanity wrapped up, in this case, in paper mache and oddities. The Little Stranger is out on cinema now! Previous PostThe Magnificent Seven (2016) – ReviewNext PostPassengers – First Official Trailer!